"Seaside Apartments" situated in popular Marsalforn Bay, Gozo - a choice of self-catering holiday apartments, clean, well kept and comfortably furnished holiday accommodation, seafront or just off. Marsalforn is a Gozitan fishing village, with an attractive promenade, shops, waterfront restaurants serving fresh fish and other dishes, and a small sandy beach. There are possibilities of long walks in tranquility along the rugged coast in the area, taking in the spectacular natural beauty of Gozo. The seafront apartments enjoy extensive bay and open sea views from living areas and balconies, and are just across the road from the beach. Offering two bedrooms, bathroom, bright and airy kitchen/living room with large windows, and balcony overlooking the bay. Sleeping up to four persons. 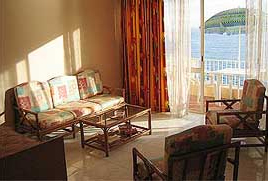 The other apartments are just a minute's walk off the promenade, and offer three bedrooms, sleeping up to six persons, and are served by lift. Available at very reasonable rates, with late-booking and group discounts available upon request. 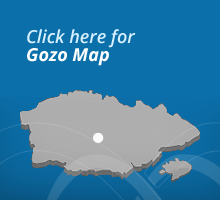 Transport can be provided direct from Malta airport, Gozo heliport or Gozo Mgarr Harbour as is most convenient to you.